On the outskirts of Branson, which reminded me of Las Vegas, especially after it took me an hour to travel five miles down the town’s Main Street, is Table Rock State Park. This quiet oasis from the tourist trap, where the Titanic and Elvis still live and where legendary singers past their prime perform to appreciative audiences past their prime, was my home for four days. I didn’t miss the city life at all. I only got caught up in the hour-long traffic jam because I wanted to see what the Branson hullabaloo was all about. If you’re ever in the area, my suggestion is that you visit the park and not the city. 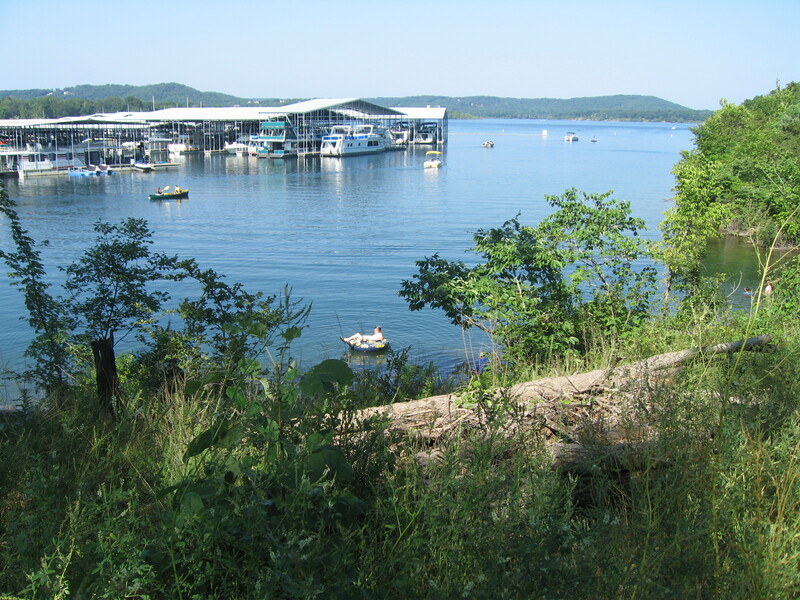 My camp site backed up to Table Rock Lake and a three-mile long paved walking trail that went across a couple of wooden bridges to a marina in one direction and the Branson Belle Showboat in the other. 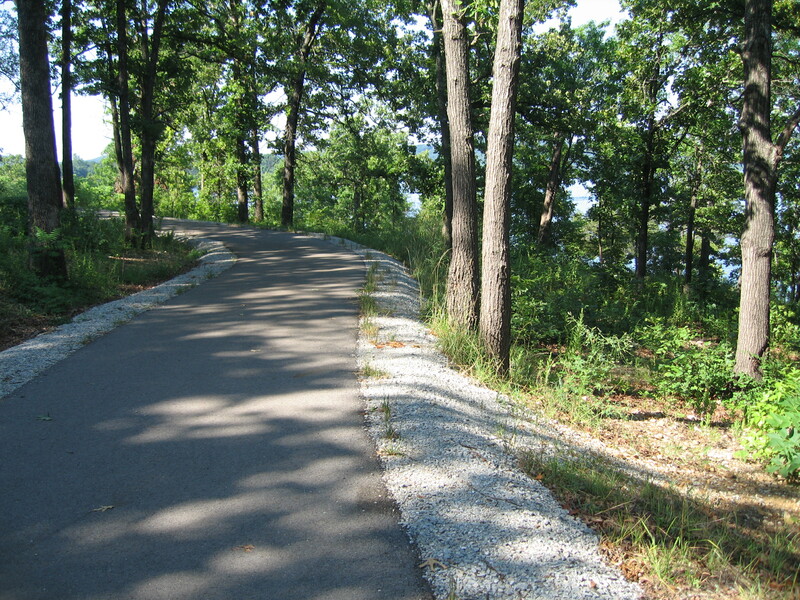 I walked the path early every morning with my canine traveling companion, Maggie, but pretty much kept to myself reading or writing in the RV the rest of the time. I was content to simply watch the lake and campground goings on out my window. I thought about taking in the show on the Belle but decided I didn’t want to spoil my lazy solitude. That’s one of the joys of traveling alone, not having to meet someone else’s travel expectations. Book Report: 30,731. Only about 1,500 rewritten words today, but then I cut a couple of chunks of boring from the original. Leaving the boring parts out is some writing advice I’ve long tried to follow. Bean’s Pat: http://tinyurl.com/dxyz5s8 A look back to the 1908 Olympics. Wow! Have things changed. We have family staying, not much in the way of solitude around here at the moment. I’m trying to write a short story for the end of August. A Psychopath Monologue, words don’t come easy as the song says.